Football is the most loved sport in the world and it is one of the well paying jobs in the world. In the past, people who indulged into football do so because of the love they have for the game. But now, football is a big time business as many footballers are labeled as rich people because of the huge amount they earn as their salaries. Now, a top notch footballer can earn over $300,000 per week excluding their endorsement deals. The likes of Cristiano Ronaldo, Lionel Messi and Neymar are seen as the richest footballers in the world. But you can’t mention the richest footballers in the world without top African footballers like Samuel Eto’o Fils and Didier Drogba. Topping the list is former Cameroon and Barcelona legend, Eto’o. He has made record in Africa by winning four "African Player of the Year" awards. He was the highest-paid football player in the world during his stay with Anzhi Makhachkala where he earned $24M annually and is currently playing for Qatar SC. Aside Barcelona and Anzhi Makhachkala, Eto’o has played for clubs like, Chelsea, Inter Milan and Antalyspor. 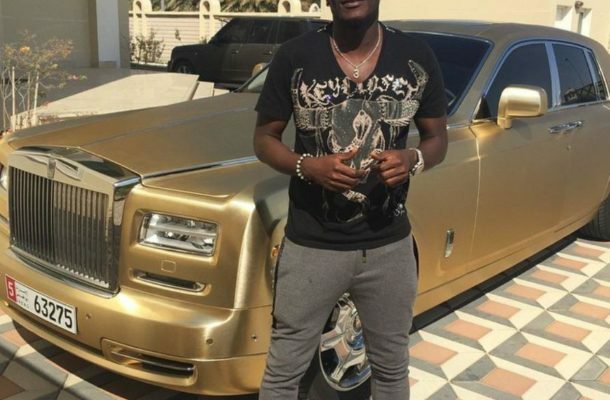 The estimated net worth of this footballer is $94M, allowing him to lead an extravagant lifestyle with multiple mansions, super-cars, and high-flying private jets, along with generous donations to various charities. Drogba is one of the best forwards to have played in the English Premier League. The Ivorian legend became one of the highest-paid footballers in the world when he joined Chelsea in 2004 from Marseille. Drogba's wage at Chelsea was $150,000 a week and he spent eight seasons at the London-based club In May 2012, the striker left for Chinese side Shanghai Shenhua with the salary of $200,000. He then moved to Galatasaray in Turkey before making a return to Chelsea again. Toure, with an estimated net worth of $69M is one of the top paid athletes in the world. During his stay at English Premier League side, the Ivorian earned millions as wages. Also, the footballer has won African Player of the Year award four times. The bulky midfielder is currently a free agent after leaving Greek side, Olympiakos. He has previously played for Spanish giants, Barcelona. Adebayor is regarded as one of the richest footballers in the world because of the kind of clubs he has played for. The Togolese international currently plies his trade in the Turkish top-flight for Istanbul Basaksehir. He has featured for Manchester City, Arsenal, Crystal Palace, Tottenham Hotspur, and Real Madrid in the past. In 2008, while playing as a member of Arsenal, the talented player was voted as the African Footballer of the Year. He is currently the all-time top goalscorer of Togo with 31 goals. When he was playing for Manchester City, Adebayor used to earn $256k per week. Adebayor has a net worth of about $44M. The former Chelsea man is arguably the richest Ghanaian footballer. He has capped 58 times for Ghana , scoring nine goals in the process. His net worth is $34M. In his football career, Essien has represented various clubs including French sides Bastia and Lyon, Chelsea, Real Madrid, AC Millan and Panathinaikos. He is currently a free agent after leaving Indonesian side Persib Bandung in 2018. The former Sunderland frontman net worth is $22.8M. Gyan has played for clubs like Udinese, Rennes, Al Ain, and Shanghai SIPG. Gyan is the current captain of the Black Stars of Ghana and now plays for Turkish outfit Kayserispor. The Nigerian international currently plays for Middlesbrough after joining the English side this month. Before moving to Middlesbrough, he was playing for Chinese side Tianjin Teda. His net worth is around $29M. Mikel has played for Chelsea, Norwegian side Lyn Oslo.